Americans use a lot of slang. Slang is the use of phrases or terms, typically in an informal setting, that have come to stand for something else. It is most common to hear slang used in informal conversations as opposed to during more formal language such as presentations or interviews. You will almost never see slang in formal writing. If someone uses a slang phrase or term in conversation which you do not understand, you can often use the context to figure it out. In some cases, the slang phrase that is used may be loosely related to the slang meaning. The phrase, “don’t bite off more than you can chew”, means not to take on a task that is too large. There are many American slang phrases and terms that are related to sports. If someone says to you, “don’t drop the ball”, they mean they don’t want you to make an error or miss an opportunity. This saying is derived from sports like baseball or American football where a player may be penalized for dropping the ball during the game. For example, if someone assigns you a project at work, they may say, “don’t drop the ball” and mean that they don’t want you to mess up the project. Another sports-related slang phrase is, “behind the eight-ball”. This saying is from the game of pool and refers to someone being in a bad or difficult position. If a colleague gives a presentation at work and it doesn’t go well because they weren’t prepared or if someone misses a project deadline because they started working on the project too late, someone might say that they were, “behind the eight-ball”. Here is a list of additional sports slang: https://en.wikipedia.org/wiki/List_of_sports_idioms. 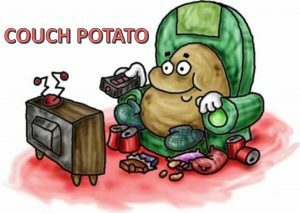 Not all American slang phrases or terms are related to sports. If someone tells you to “hold your horses”, it means they want you to wait or calm down. This phrase comes from a time when horses were a major form of transportation and it literally meant to pull up on a horse you were riding or driving from a wagon to make the horse stop. 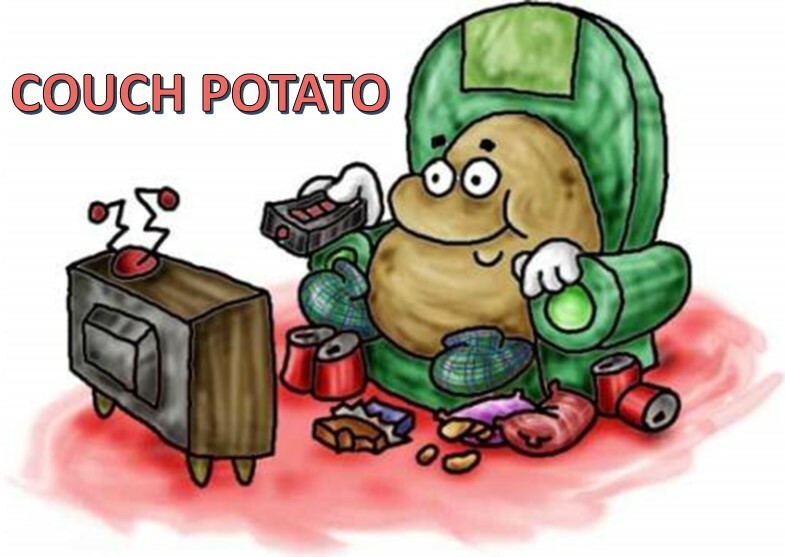 A “couch potato” is someone who sits on the couch all day watching television. It can be used to refer to people who are lazy. So, if you are in a situation where people around you are using slang, “don’t have a cow” (i.e., be worried). Use the situational or conversational context to figure out what they are saying. Or, you could ask! Most Americans will be happy to explain what they mean.